Order in the next 1 hour, 16 minutes an 39 seconds for same day shipping. VersaMagic 4 Piece Set Flower Pot. 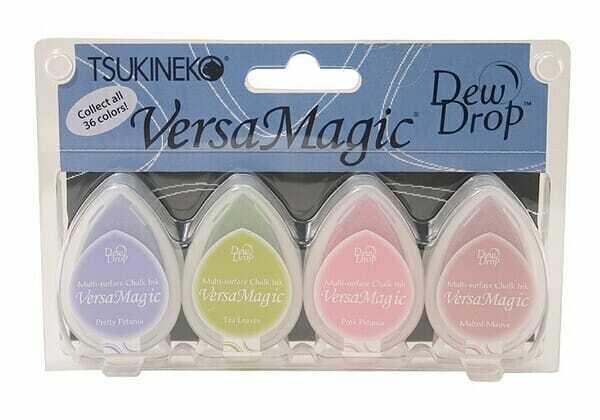 The perfect chalk pigment ink that dries beautifully on any color cardstock- even dark cardstock! Soft, opaque, chalk-like look with none of that chalky residue. Customer evaluation for "Tsukineko - VersaMagic 4 Piece Set Flower Pot"